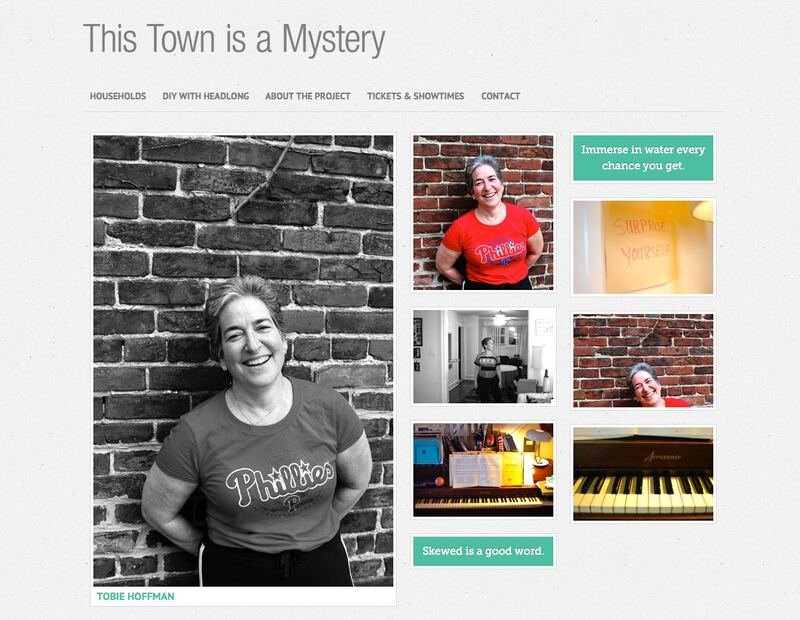 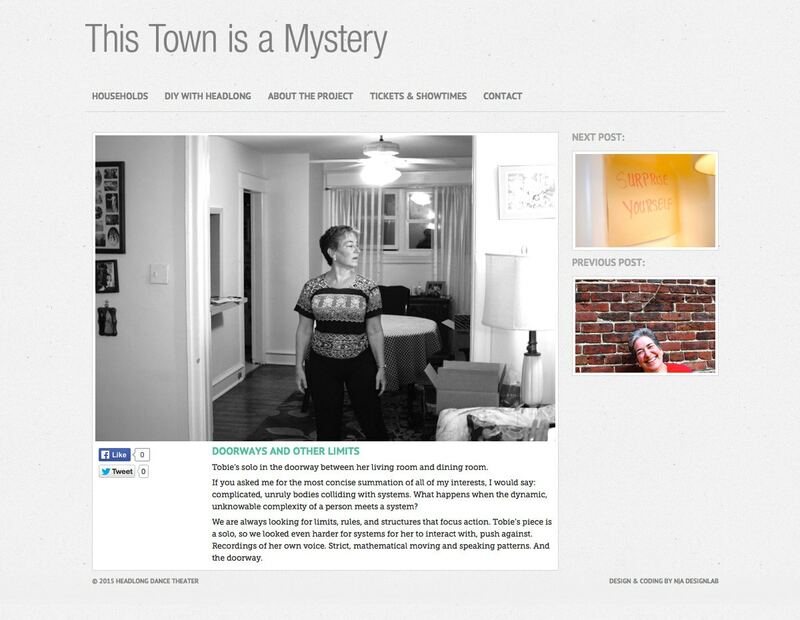 This Town is a Mystery is a performance project by Headlong Dance Theater. 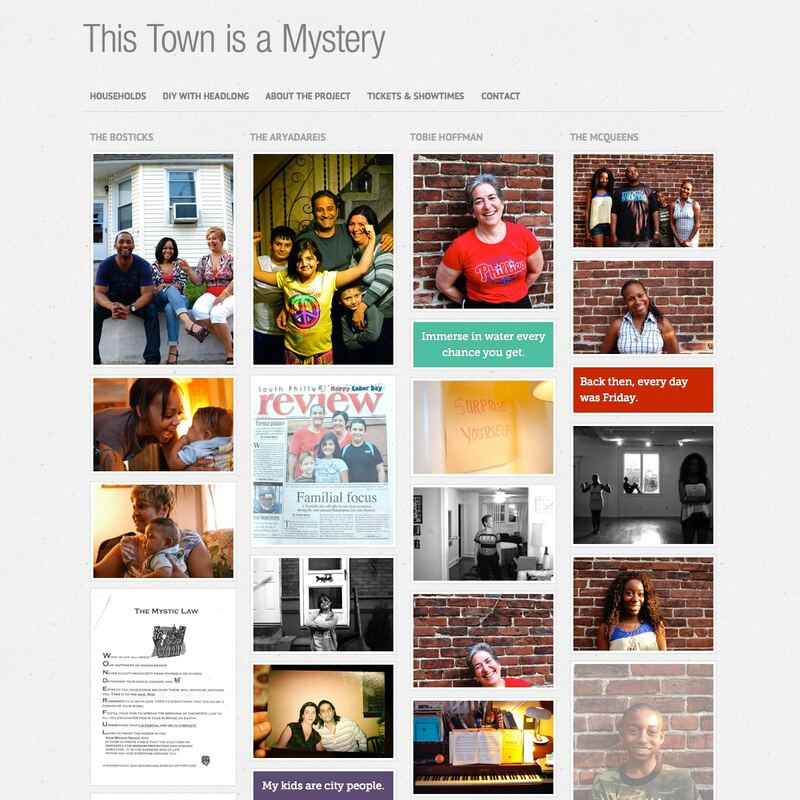 The project featured communal dinners and performances by four diverse households, in their own homes, choreographed by Headlong and the family members. 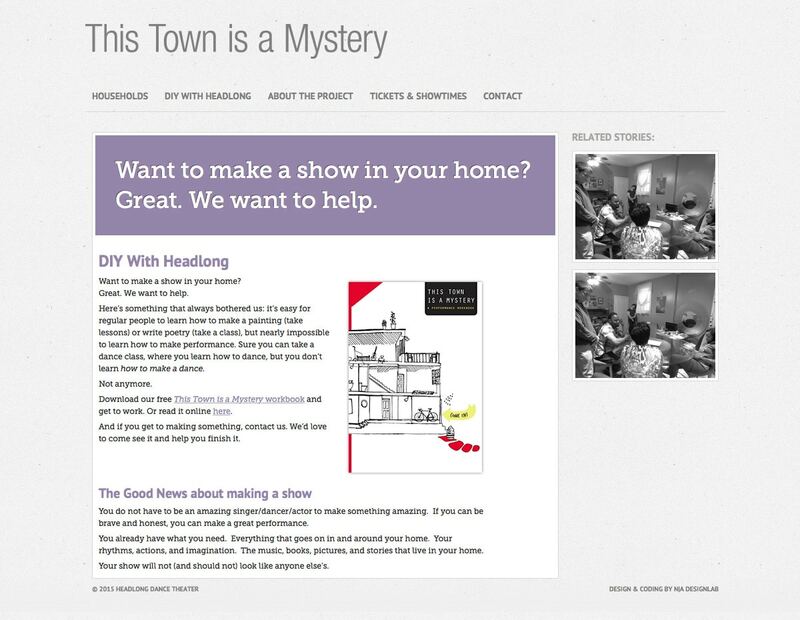 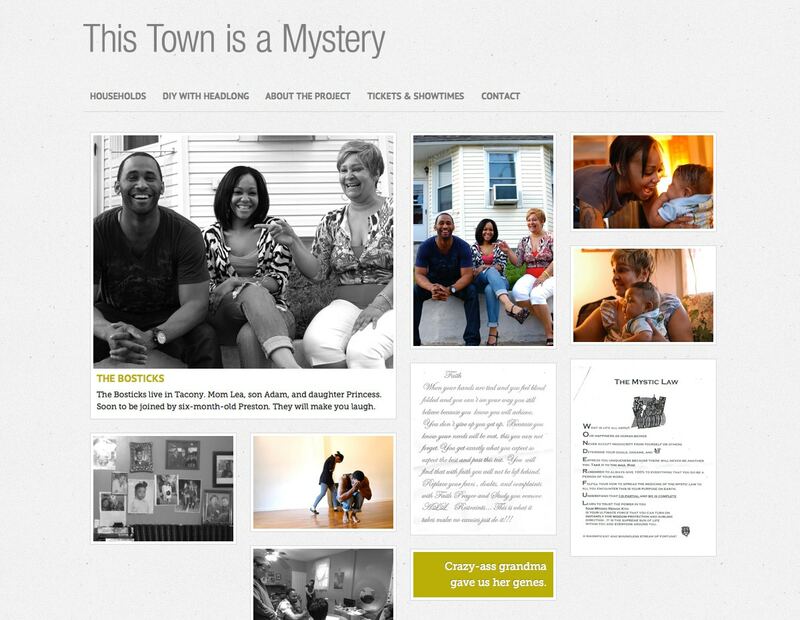 The website served to document the process of creating the performances and introducing the public to the four selected households. 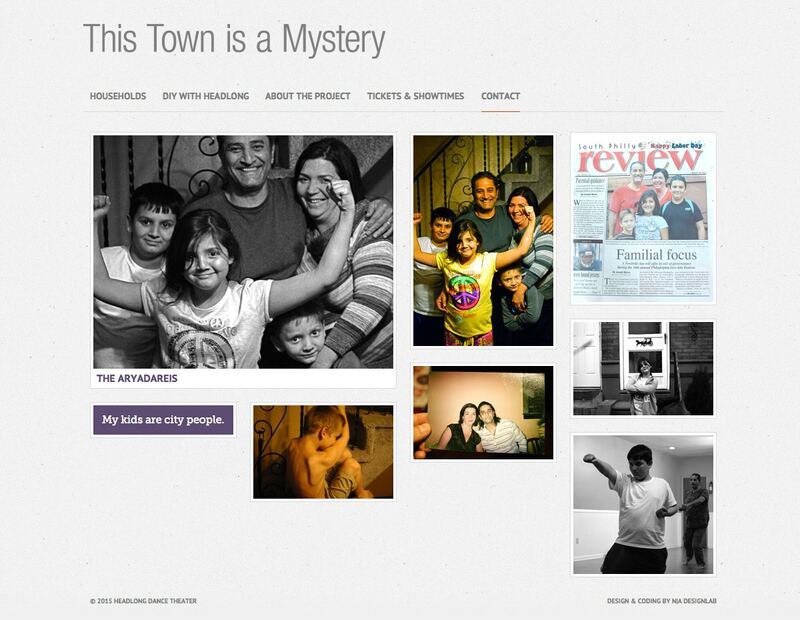 The site was built using WordPress.